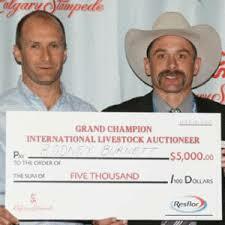 Rod Burnett - Global College of Auctioneering ltd. 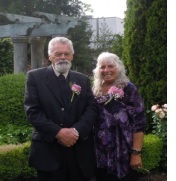 I was born and raised in Chilliwack, British Columbia to Michael and Zeta Burnett in 1975. I had the privilege of being raised in the auction business as my parents were owner operators of their own auctions and my dad is a contract auctioneer to other companies as well. I had been working and helping out with auctions for my parents from the time I was able to run tickets or help set up, load or unload etc.….some might say I was an auction rat!! I graduated from high school in 1993 and prior to investing in some heavy equipment my dad offered to send me to auction college in the spring of 1995 and I accepted the offer which quite possibly changed the rest of my life. Upon returning from auction college in 1995 my professional auction career had begun. I am a 3rd generation auctioneer as my grandad was in the business across the pond in England, plus my dad and both uncles carried on the tradition here in Canada. I am now 23 years as a full time contract auctioneer, auction owner, competitive auctioneer and of course having a lifetime of knowledge being raised and surrounded by the industry. Personally I have conducted over 4500 auctions and sold just about every venue a person can imagine from weekly auto auctions, heavy equipment, livestock, household and estate, antiques and my niche market classic cars. With selling up to 10 sales a week and a variety of goods weekly, I believe it has made me a very well rounded auctioneer – my busiest year was 327 auctions with my average around 150 per year. 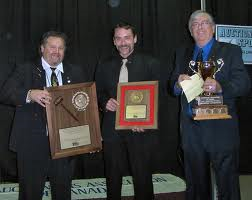 My dad won the 1990 British Columbia Provincial Auctioneer Championship and four years after I got back from auctioneer college I took a shot at the title and won in 1999. This was the start of my competitive auctioneer side of the business, 2005 I won the World All Around and the Canadian All Around Auctioneer Championship, in 2007 I was grateful to accept the British Columbia Auctioneer Championship once again. 2010 I was fortunate enough to win the LMAC Livestock Auctioneer Championship and in 2011 the Calgary Stampede International Livestock Auctioneers Championship. I have qualified both times I have tried for the World Livestock Auctioneer Contest in the USA and have a reserve and runner up title in other contests. I have competed across North America against the world’s best professional auctioneers and have learned something from each one of them and continue to grow and better my craft. 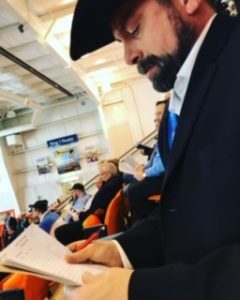 With taking a little bit of knowledge from each auction and contest I believe it has given myself a unique perspective on the industry and as an auctioneer. This is a profession which requires constant practice and fine tuning of your craft, which I continue to do 23 years into my auction career. I always strive to be the best I can be and do the best I can as an auctioneer and for the industry. The auction business needs to be looked at and treated as a profession, therefore be operated by professionals keeping the standard we have in the industry as it is and to continue to improve the quality of services provided in the future. To be the best, you need to have been taught by the best and learn from the experience of professionals that truly operate their business in such a way that improves the auction industry. If a person is properly trained and educated it will only benefit them personally with their craft and it will also benefit the auction industry as a profession. If you are going to do something why not do it to the best of your ability?? If it is worth doing then it is worth doing with heart, passion and integrity. 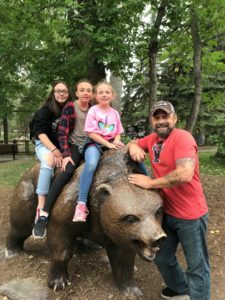 My biggest accomplishment is being the father of 3 daughters, who are my world. The auction industry has been the Burnett’s main income for 3 generations and for that I am thankful. I would like to see others have the same success my family and I have had.